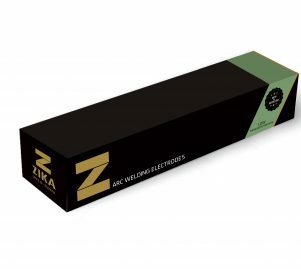 ZIKA-11 LMn E-6013 Low Manganese Emission – Zika Industries Ltd.
Home Catalog Stick Electrodes Low Manganese Electrodes Line ZIKA-11 LMn E-6013 Low Manganese Emission – Zika Industries Ltd.
We are proud to offer our New Low Manganese emission, rutile coated, welding electrode. This electrode was developed with the purpose of significantly reducing of the welders’ exposure to hazardous manganese fume emission and to help our end-users meet increasingly demanding environmental regulation. The special weld metal composition of the Z-11-LMn provides the required mechanical properties and meets demands of international standards. The electrode is characterized by stable and smooth arc, easy slag detachability and excellent weld bead appearance. Welding of general low carbon steel. 0.08 0.25 0.22 0.25 <0.001 <0.025 <0.02 bal.